The BBC nature documentary series Planet Earth II premiered on November 6, 2016 on British television. The Internet was abuzz with discussion about the fascinating scenery and sequence featured in the first episode. The buzz left many non-Brits wondering how/when/where they could watch this Planet Earth series. Unfortunately, no information has been released about a Canadian air date for Planet Earth II. CBC airing the original Planet Earth series back in 2006, but there is no indication they have bought the rights for this new series. Canada's licensed BBC channel, BBC Canada, has also not indicated they will be airing Planet Earth II. This post will be updated as information becomes available. 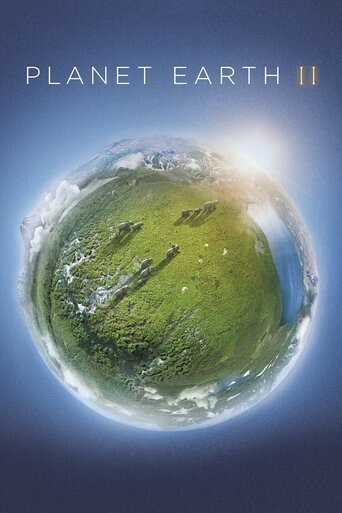 In the meantime, check out our Planet Earth page for information about where to watch the first series from 2006. Planet Earth II will premiere in North America on the cable channel BBC Earth on February 18. The channel itself is launching January 24th, and will be available as free preview for three months. Naturally, you will need a cable subscription to take advantage of this free preview. Planet Earth II episodes will be available on digital video stores the day after air (beginning February 19th). The DVD/Blu-Ray will be released March 28, 2017. You can pre-order the collection now.